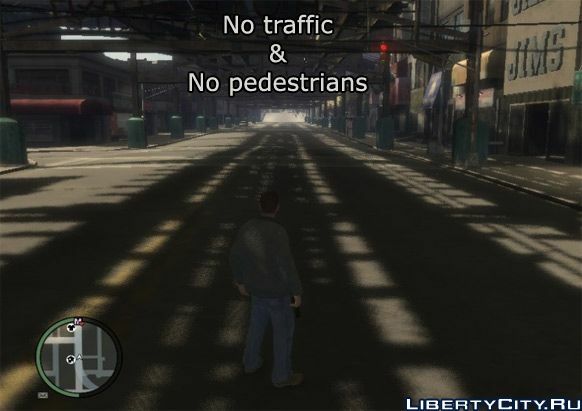 Tired of city traffic Liberty City and meleshashie before the eyes of the pedes? Then this modification is for you. It will always devastate the streets of the City of Freedom. Mod deprives vehicles of brakes. By pressing the S button the vehicle instead of braking will increase the speed, which will lead to collisions with other traffic participants. With this mod at the airport you will no longer be pursued by the police, in the second version of the mod I will remove the police from all three islands, do not judge strictly this is my first mod author I am oleghka26. "На всегда" слитно пишется (на будущее). Согласен тупость скучно- мочить некого сбивать некого прикалываться ненадкем.